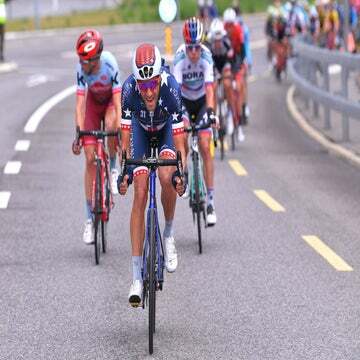 PARIS (AFP) — French rider Steve Houanard has tested positive for banned blood booster EPO, according to the UCI. The 26-year-old Houanard, who has no major wins to his credit, raced for the Ag2r La Mondiale team, which did not retain him for 2013. Houanard, a professional since 2009, tested positive in an out-of-competition test on September 21. 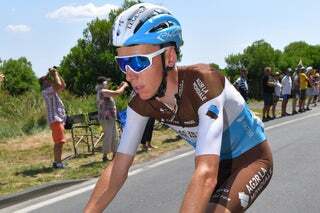 The Ag2r squad has suspended Houanard provisionally. He maintains the right to request his B sample be tested and may attend that test. It is unclear at this time whether Houanard will appeal the positive control. Ag2r is among the teams vying for one of five open WorldTour licenses for 2013. The team has in recent weeks signed riders like Italian climber Domenico Pozzovivo and French all-rounder Samuel Dumoulin to fill the hole left in the wake of Nicholas Roche’s departure to Saxo Bank-Tinkoff Bank this winter.